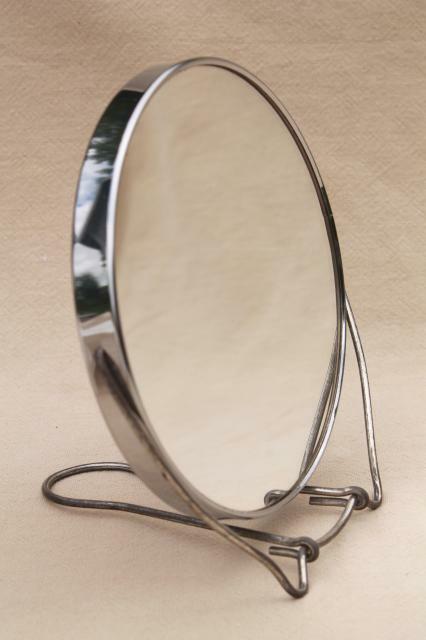 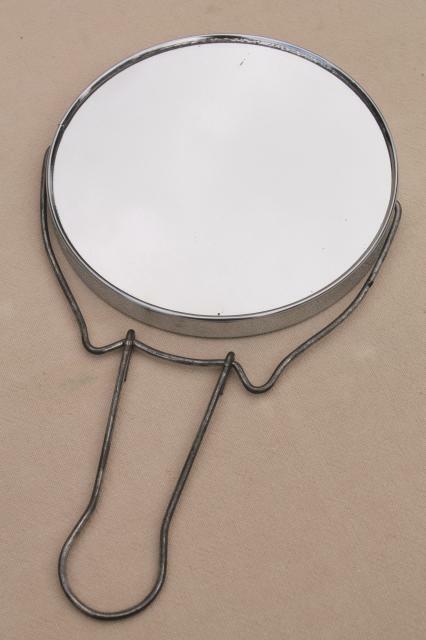 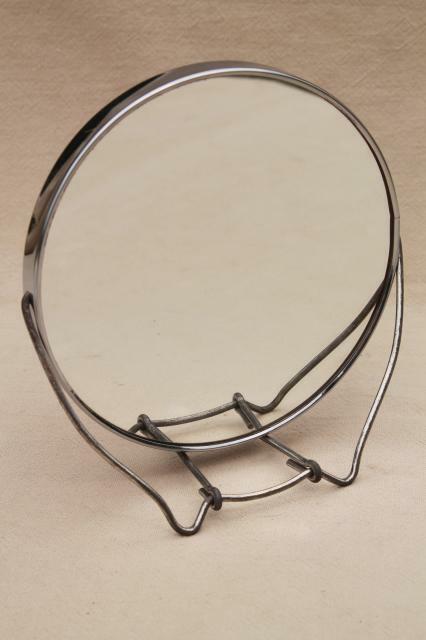 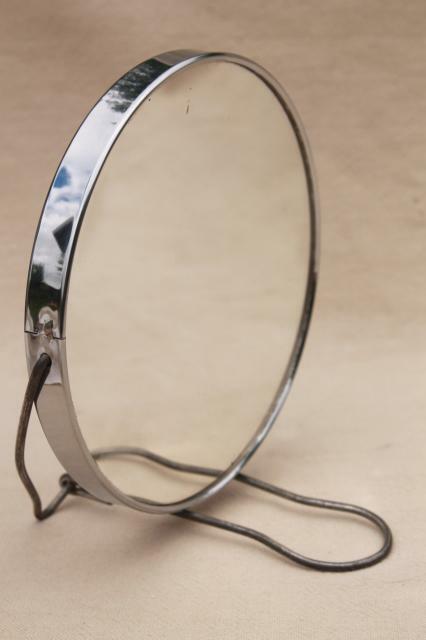 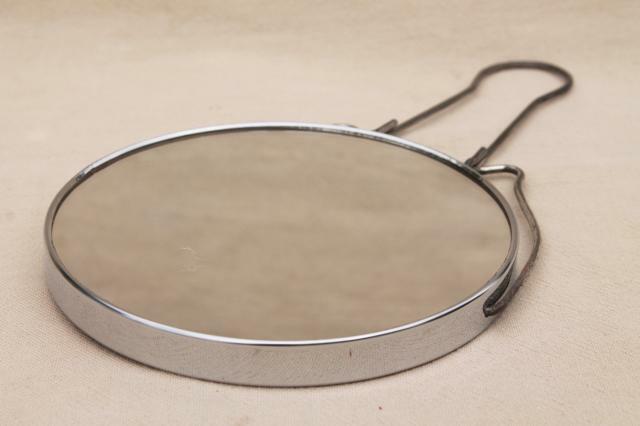 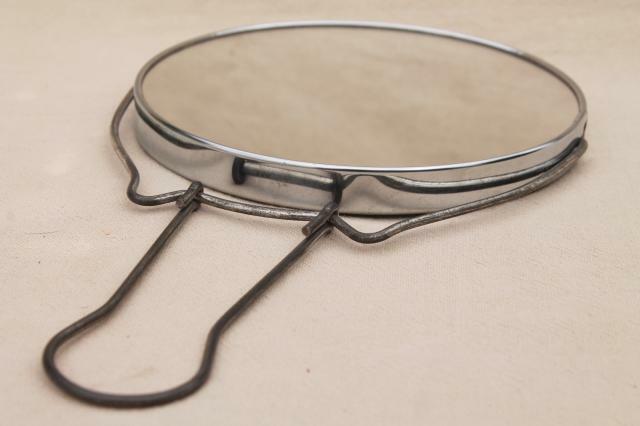 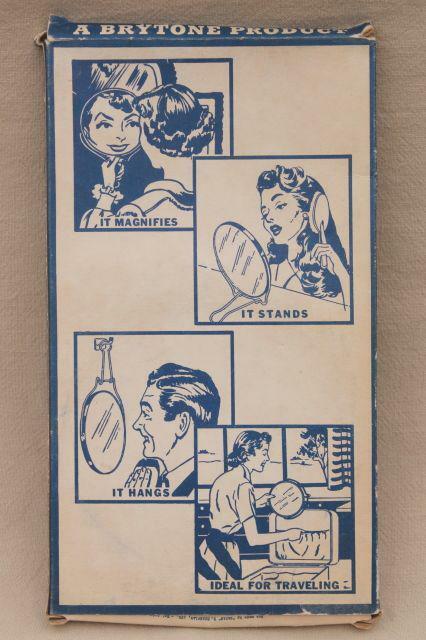 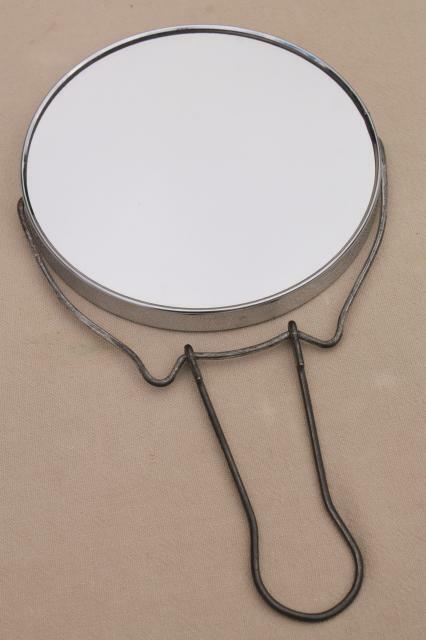 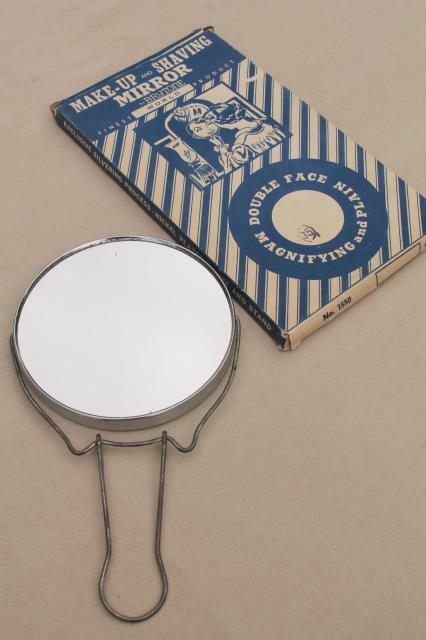 1950s vintage shaving or makeup mirror, a wire easel stand with round double sided mirror, plain and magnifying. 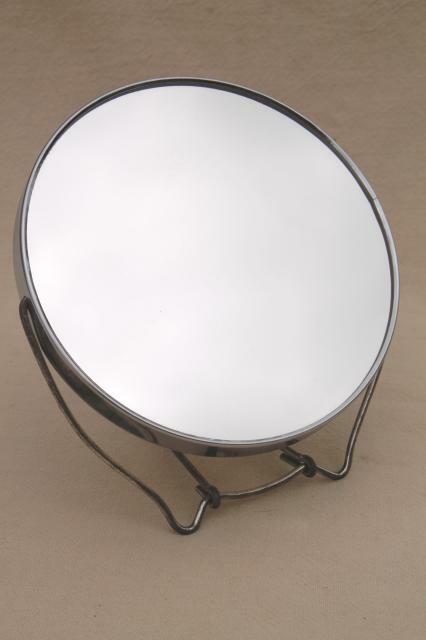 Measures about 5 1/4 in diameter across the mirror. 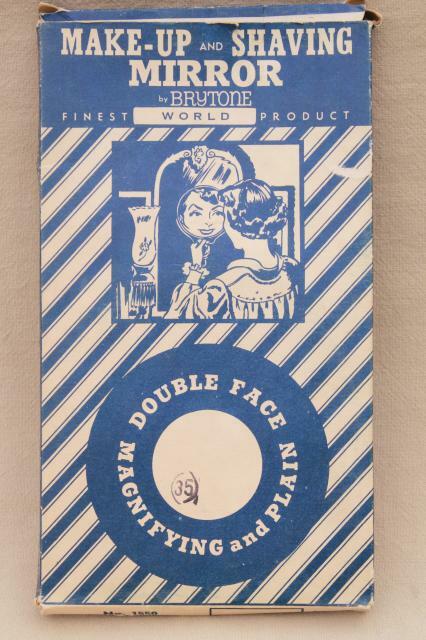 This shows a little age, though I think it's never been used - it's still in the original box.